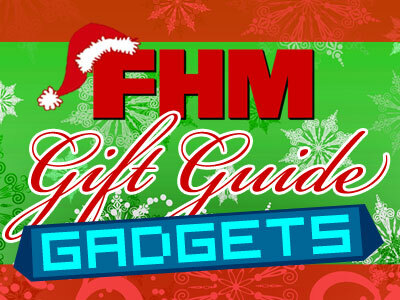 While clothes make for awesome gifts, gadgets are even a sweeter loot to receive! If you’re the one giving the gift, gadgets may be a tad more expensive, sure, but they’re something you know will be much more appreciated, too. And in this day and age, tech toys are most definitely useful. Gadgets are a far better option to give bosses and fathers. To begin with, they are the manlier option compared to candles and t-shirts. And compared to coffee mugs and keychains, gadgets are way more impressive. For your mates, go for the most practical, which are, more often than not, friendlier to the budget. We go with the same rule as with fashion: what you will appreciate, they most probably will, too. So, blank CDRs, USBs, and other desktop trinklets are top of mind. Now the tricky part: the ladies. The general rule is that, you’re in good hands as long as it’s pretty. Hence the colors. And the frilly features. It becomes tricky when giving ladies in authorities, like your mother. in such cases, go for the most user-friendly of the lot. If you can find a gadget that can also serve her sentimentality, that's even better. Below are some tech toys we found on the market. And just the same, you know you’re in good hands because we consulted with our mates from Techie.com.ph.